Make your ESL teaching easier and more fun. And even become a more popular teacher This book will guide you to avoid some teaching pitfalls and help you become the effective, fun teacher you want to be. Getting Your FREE Bonus Inside this book is access to a 70-page printable appendix of ready-made templates. Print and go! That said most of the games don't need any printing or preparation, but for those that do, templates are provided with this bonus to save you time. 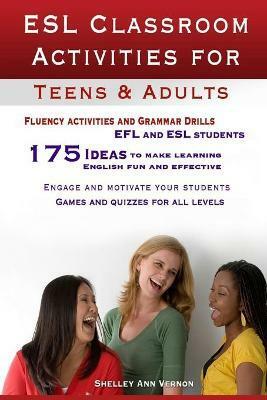 Buy your copy of ESL Classroom Activities for Teens and Adults by scrolling up and clicking Buy Now With 1-Click.